This time of year Princess Piggy Poo and I receive photo-messages from our friends as well as letters that recap the past year in their lives. 2014 was a good one for my guinea pig and me. We are grateful to be heading into the New Year healthy and happy. And, not to brag but, Princess Piggy Poo feels blessed to be rolling in hay — literally. Looking back at 2014, Princess Piggy Poo and I have been able to spend more time together with me working from home. In addition to sporadic hugs throughout the day, Princess Piggy Poo has enjoyed training me to provide cilantro on demand. We have also enhanced our social circle with new friends, while continuing to value and spend time with our old friends. After such a wonderful year, it feels greedy to hope 2015 is even better. And, while Princess Piggy Poo and I had a great year, we realize not everyone else did. 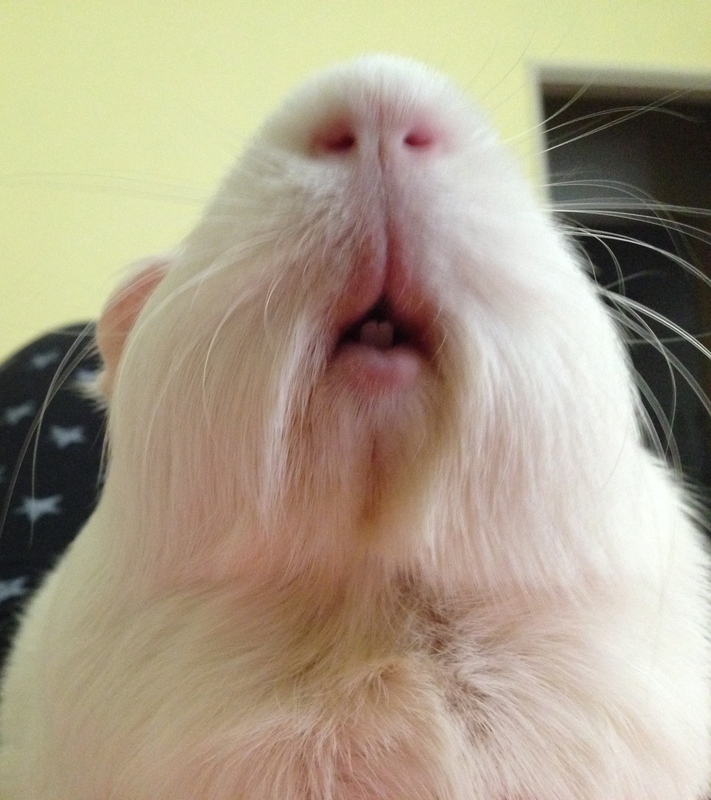 So, for 2015, we wish that all cavy and furry friends find good homes with loving humans. And, we hope that all humans enjoy health, happiness and find it in their hearts to be open to love. Happy New Year! This entry was posted in Uncategorized and tagged 2014, 2015, cavy, cilantro, friends, furry friends, guinea pig, happy new year, hay, humans, New Year, princess piggy poo. Bookmark the permalink.